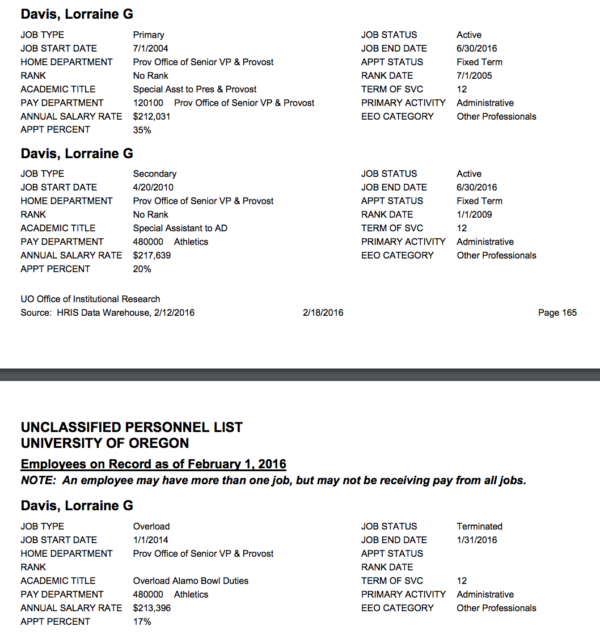 I’m sure these “Overload Alamo Bowl Duties” are essential to our academic mission – although I’ll be more sure after my obligatory tax deductible bowl game junket as Senate President – but has UO really sunk to the place where this crap gets you a Professor Emerita rank? 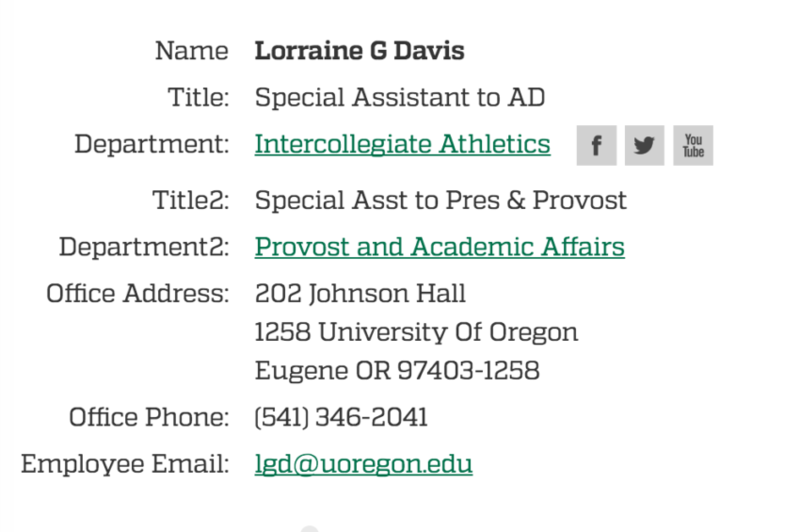 But I wonder who costs the academic budget more – Special Assistant Lorraine Davis, or “Faculty” Athletics Representative Tim Gleason? Tagged junkets, Lorraine Davis, Tim Gleason. Bookmark the permalink. I find it very hard to believe that Lorraine let a month pass without taking money from UO. She’s no student-athlete. Her contract must be retroactive to July 1. You’ve posted these in the past, where are the new ones?